FREE INSTALLATION. 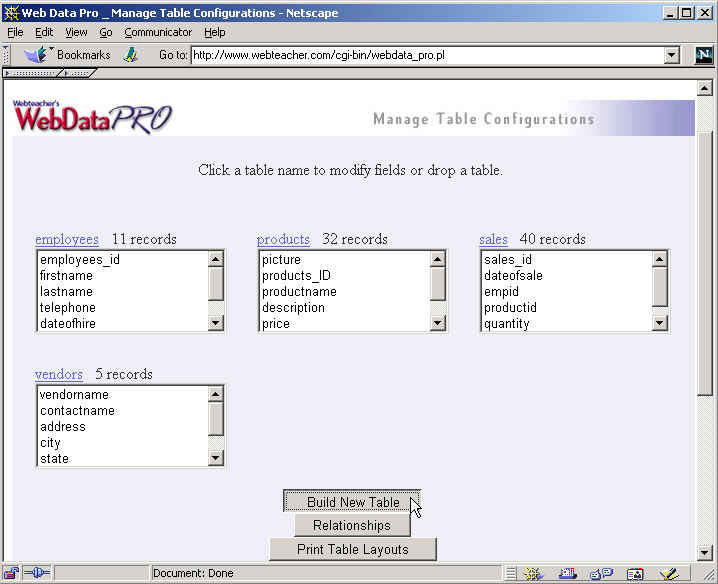 Just ask, we'll install Webdata onto your server or walk you through it over the phone. Click the "Try it" link above and select a database name and password. Installs on all types of Unix, Linux, and Windows servers. (Prerequisite, you must have MySQL and the Perl MySQL modules on your server. Click here for help installing MySQL and Perl on Windows). Click the "Download Webdata" link above to download webdata_pro.zip. Extract the file with any unzip program such as "WinZip" or "Pkzip"
Have your MySQL administrator create a new database, and make sure you have a MySQL username with full privileges to that database. Open the "webdata_pro.pl" script in wordpad or any text editor and edit each line according to the instructions contained within the file. 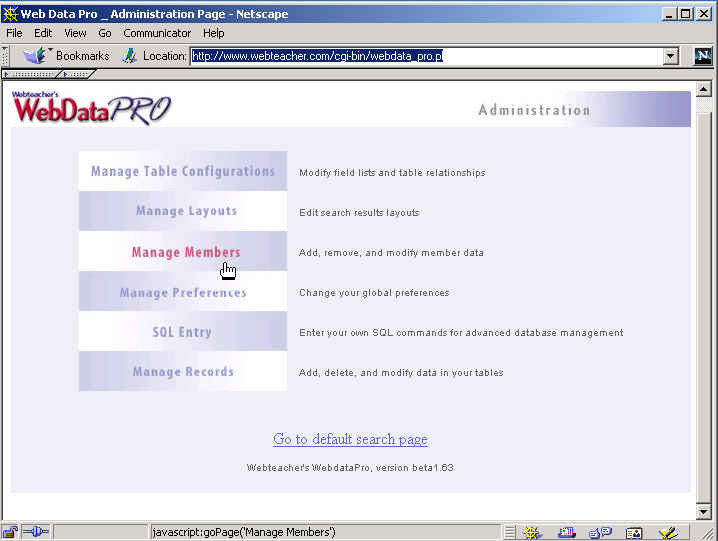 Upload webdata_pro.pl and wdpro.pm to the /cgi-bin directory. Browse to "/cgi-bin/webdata_pro.pl" and enter "admin" in the E-mail box, and your admin password in the password box. Either open "readme/readme.html" locally on your desktop machine or upload the "readme" directory to your server and open it there.